X-Men: Dark Phoenix is starting to come together, and it is shaping up to be quite the interesting movie, at least in terms of who is involved. Simon Kinberg, who has been producing and writing the X-Men franchise movies since X-Men: The Last Stand, is now about to take a much larger role in the universe for Fox. The studio, after a few months of rumors suggesting it would be the case, has officially tapped him to direct X-Men: Dark Phoenix, which will mark his directorial debut. The news comes courtesy of Deadline who also have some other major information about X-Men 7, which will be looking to bounce back after the mediocre X-Men: Apocalypse last year. 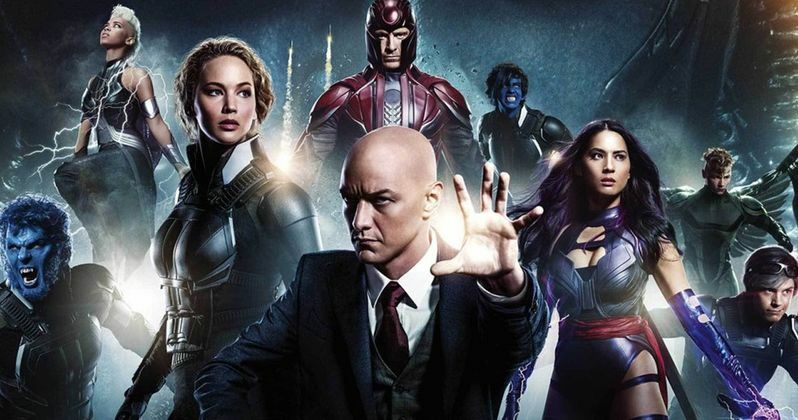 Firstly, stars Michael Fassbender (Magneto), James McAvoy (Professor X), Jennifer Lawrence (Mystique), Nicholas Hoult (Beast), Alexandra Shipp (Storm), Sophie Turner (Jean Grey), Tye Sheridan (Cyclops) and Kodi Smit-McPhee (Nightcrawler) are all returning for the sequel. Sophie Turner was the only member of the cast who had been previously confirmed. Perhaps the most juicy bit in this report, outside of Fox trusting a first-time director with one of their most important franchises, is that Jessica Chastain is in talks to play the main villain in X-Men: Dark Phoenix. According to the report, should Chastain wind up locking down the part, she will be playing Shi'ar Empress Lilandra. For those who have read the Phoenix Saga comics know that she is a part of that story, which makes it seem like this will be a much more faithful take on the material, as opposed to what was done in X-Men: The Last Stand. It was recently rumored that Angelina Jolie is also being eyed for a possible role in X-Men: Dark Phoenix and, given this new information, it seems likely that she is looking at the role of Empress Lilandra as well. Though, it was noted that Jolie's participation is unlikely. As far as Simon Kinberg goes, having a first time director on such a project may sound insane and, almost every other time, they would be right. However, Simon Kinberg knows the X-Men universe better than almost anyone, save for Bryan Singer. He is an incredibly accomplished writer and hands-on producer, so this shouldn't make anyone nervous. Seeing that Fantastic Four credit to his name may make some nervous, but he completely understands that movie didn't work and, doesn't everyone deserve at least one mulligan? Fox will be releasing three movies in the X-Men universe in 2018, marking the first time they will ever be releasing that many movies from the franchise in the same year. X-Men: Dark Phoenix is set to arrive on November 2, 2018, and should be going into production soon. Fox is also dropping New Mutants on April 13, which is described as a horror movie, as well as Deadpool 2 on June 1, 2018. We will be sure to keep you up to date as more details on X-Men: Dark Phoenix, such as casting and production dates, are made available.